Frustrated by his quest to find well-fitting, well-designed wireless earphones, designer Itamar Jobani decided to produce his own. We caught up with Itamar, now CEO of OwnPhones, a start-up using their Form 1 to prototype initial designs of their customized, wireless earphones. His whirlwind Kickstarter campaign, exceeded the original funding goal of $250,000 and ended at $767,472. These prototype earphones were all printed on the Form 1. The OwnPhones team used tips from our webinar with Robert Vignone to finish these pieces. How has the Kickstarter journey been for you and your team? Was there a moment that really stood out for you that you can share with us? The Kickstarter campaign was a fantastic experience for us. We were overwhelmed by the community’s response for it. People are excited about OwnPhones, and we are getting emails (and even letters!) from all over the world that ask to join our team, collaborate with us and be part of this vision. What is your design and prototyping process like? We use the Formlabs Form 1 3D Printer mainly for our design prototypes and R&D. Although we are not planning to use Form 1 for our actual production, it is a fast printer with excellent quality for prototyping. The parts are crisp and the system is very reliable. We actually have two other desktop printers at our office, but we always prefer to use Form 1 if possible. The idea of custom earphones seems to really resonate with people. 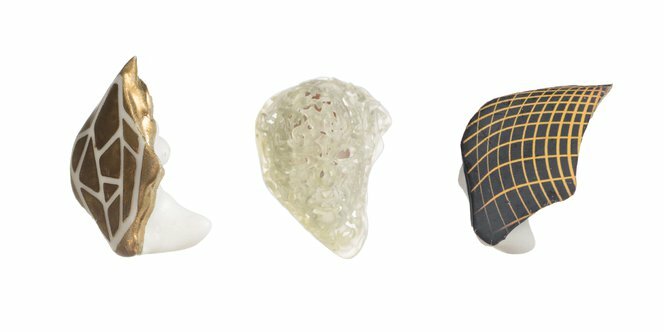 You're creating custom earpieces for excellent fit, but you've also designed cases that offer personal expression. What caused you to bring these two ideas together? To me, it seems a customized fit for the individual user and a personalized style go hand and hand. We are at a point where it's competitive to offer the user much higher customization, and this is exactly what we are doing. The fitting to the user’s ear offers a great experience, but choosing a design from thousands of options really allows you to connect to your device, and feel like that is part of how you present yourself to the world.